Start off your visit on the 9th (Sun): enjoy the sand and surf at Pedra do Arpoador, tour the pleasant surroundings at Praia de Ipanema, then admire the natural beauty at Jardim Botânico do Rio de Janeiro, and finally contemplate the long history of Parque Lage. Get ready for a full day of sightseeing on the 10th (Mon): pause for some photo ops at Corcovado Christ the Redeemer, then enjoy the sand and surf at Copacabana Beach, then get great views at Sugarloaf Mountain, and finally make a trip to Escadaria Selaron. 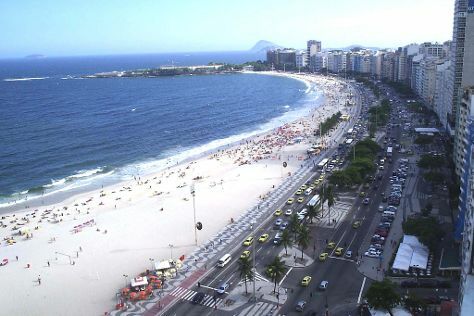 For traveler tips, maps, more things to do, and more tourist information, refer to the Rio de Janeiro visit planner. Sao Paulo to Rio de Janeiro is an approximately 1.5-hour combination of bus and flight. You can also fly; or drive. Plan for somewhat warmer temperatures traveling from Sao Paulo in June, with highs in Rio de Janeiro at 30°C and lows at 22°C. Cap off your sightseeing on the 10th (Mon) early enough to travel to Heraklion. 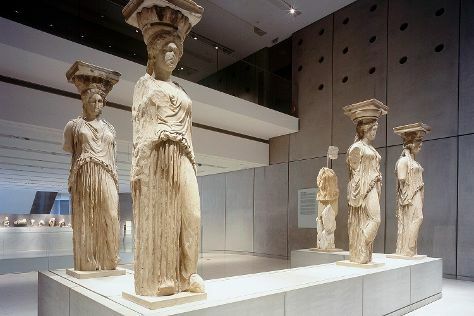 Kick off your visit on the 12th (Wed): admire nature's wide array of creatures at Cretaquarium - Thalassocosmos, steep yourself in history at The Palace of Knossos, and then take an in-depth tour of Heraklion Archaeological Museum. To see photos, more things to do, other places to visit, and more tourist information, read our Heraklion online trip maker . Traveling by combination of flight and bus from Rio de Janeiro to Heraklion takes 19.5 hours. Alternatively, you can do a combination of flight and shuttle; or do a combination of flight and ferry. The time zone difference moving from Brasilia Time to Eastern European Time is 5 hours. June in Heraklion sees daily highs of 32°C and lows of 22°C at night. Cap off your sightseeing on the 12th (Wed) early enough to catch the ferry to Akrotiri. Kick off your visit on the 13th (Thu): explore by horseback at Santo Horse Riding, then learn about winemaking at Boutari, J., & Son Wineries S.A., then kick back and relax at Red Beach, and finally explore the ancient world of Akrotiri. Plan trip to Akrotiri with our itinerary maker to find out where to go and what to do. Traveling by ferry from Heraklion to Akrotiri takes 2 hours. Expect a daytime high around 32°C in June, and nighttime lows around 24°C. Cap off your sightseeing on the 13th (Thu) early enough to travel to Athens. Boutari, J., & Son Wineries S.A.
Start off your visit on the 14th (Fri): delve into the distant past at Temple of Olympian Zeus, get engrossed in the history at Acropolis Museum, and then contemplate the long history of Acropolis of Athens. Keep things going the next day: explore the world behind art at National Archaeological Museum, then see the interesting displays at Museum of Greek Popular Musical Instruments, then take a stroll through Plaka, and finally take in nature's colorful creations at National Garden. To find reviews, where to stay, maps, and tourist information, read Athens road trip tool . Fly from Akrotiri to Athens in 4.5 hours. Alternatively, you can ride a ferry; or do a combination of ferry, taxi, and flight. In June in Athens, expect temperatures between 35°C during the day and 24°C at night. Cap off your sightseeing on the 15th (Sat) early enough to travel to Rome. Start off your visit on the 16th (Sun): admire the striking features of Pantheon, admire the local landmark of Trevi Fountain, then steep yourself in history at Roman Forum, then contemplate the long history of Palatine Hill, and finally contemplate the long history of Colosseum. On the next day, make a trip to Piazza Navona, pause for some serene contemplation at Church of St. Louis of the French, then explore the world behind art at Vatican Museums, and finally steep yourself in history at St. Peter's Basilica. To see other places to visit, traveler tips, and other tourist information, use the Rome trip planner . You can fly from Athens to Rome in 5.5 hours. Other options are to do a combination of flight and train; or take a bus. The time zone difference moving from Eastern European Time to Central European Time is minus 1 hour. Traveling from Athens in June, Rome is a bit cooler at night with lows of 21°C. Finish your sightseeing early on the 17th (Mon) so you can travel to Gap. Gap is a commune in southeastern France, the capital and largest town of the Hautes-Alpes department. Kick off your visit on the 18th (Tue): take in nature's colorful creations at Domaine de Charance, cool off at Aquaparc embrun, then steep yourself in history at Abbaye de Boscodon, and finally cool off at Waterworld. Get ready for a full day of sightseeing on the next day: see the interesting displays at Apiland Nature, see the interesting displays at Muséoscope Lake, and then get outside with L’Accrobranche Serre-Poncon Aventure. To find out how to plan a trip to Gap, use our trip itinerary maker. Traveling by car from Rome to Gap takes 10 hours. Alternatively, you can fly. 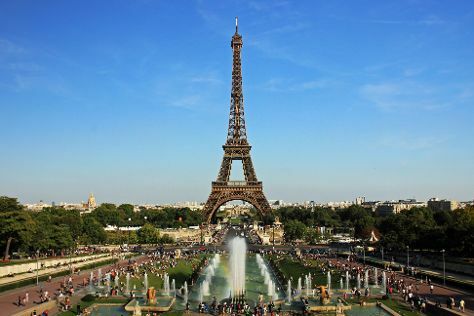 Finish your sightseeing early on the 19th (Wed) so you can travel to Paris. Start off your visit on the 20th (Thu): browse the exhibits of Louvre Museum, then pause for some photo ops at Arc de Triomphe, and then admire the landmark architecture of Basilique du Sacre-Coeur de Montmartre. Get ready for a full day of sightseeing on the next day: admire all the interesting features of Eiffel Tower, then admire the masterpieces at Musee d'Orsay, and then admire the landmark architecture of Cathédrale Notre-Dame de Paris. For ratings, maps, photos, and more tourist information, you can read our Paris online travel route planner . You can drive from Gap to Paris in 7.5 hours. Alternatively, you can fly. In June, plan for daily highs up to 27°C, and evening lows to 15°C. Wrap up your sightseeing on the 21st (Fri) early enough to take a train to London. Bring the kids along to Coca-Cola London Eye and Tate Modern. There's still lots to do: take in the views from Tower Bridge, pause for some serene contemplation at St. Paul's Cathedral, explore the world behind art at National Gallery, and get a new perspective on nature at Natural History Museum. To find photos, other places to visit, traveler tips, and more tourist information, read London trip planning site . Traveling by train from Paris to London takes 2.5 hours. Alternatively, you can fly; or drive. The time zone difference moving from Central European Time (CET) to Greenwich Mean Time (GMT) is minus 1 hour. Expect little chillier weather when traveling from Paris in June: highs in London hover around 23°C, while lows dip to 13°C. Finish your sightseeing early on the 24th (Mon) to allow enough time to travel to Dublin. On the 25th (Tue), sample the tasty concoctions at Guinness Storehouse, steep yourself in history at Kilmainham Gaol, and then stroll through Phoenix Park. Here are some ideas for day two: take in the spiritual surroundings of Saint Patrick's Cathedral, then wander the streets of Temple Bar, then tour the pleasant surroundings at St. Stephen's Green, and finally enjoy the scholastic atmosphere at Trinity College Dublin. To see ratings, traveler tips, reviews, and other tourist information, use the Dublin online travel planner . Fly from London to Dublin in 4.5 hours. Alternatively, you can do a combination of train and flight; or do a combination of train and flight. In June in Dublin, expect temperatures between 20°C during the day and 10°C at night. 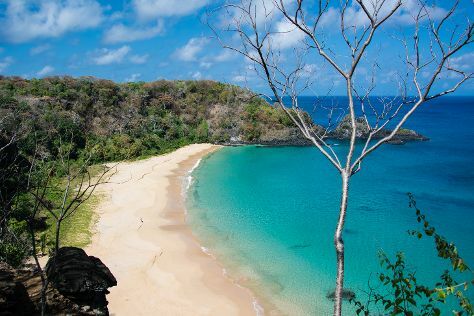 Finish up your sightseeing early on the 26th (Wed) so you can travel to Fernando de Noronha. Kick off your visit on the 27th (Thu): stroll through Praia do Sueste, then kick back and relax at Baia do Sancho, and then look and learn at Aulas de Energia – Espaco Usina Solar Fernando de Noronha. On your second day here, identify plant and animal life at Wildlife Areas and then kick back and relax at Fernando de Noronha. Plan my Fernando de Noronha trip by asking Inpirock to come up with tips and suggestions. Traveling by flight from Dublin to Fernando de Noronha takes 18 hours. Alternatively, you can do a combination of train and flight; or do a combination of bus and flight. Traveling from Dublin to Fernando de Noronha, you'll gain 2 hours due to the time zone difference. When traveling from Dublin in June, plan for a bit warmer days and much warmer nights in Fernando de Noronha: temperatures range from 34°C by day to 28°C at night. Cap off your sightseeing on the 28th (Fri) early enough to travel back home.